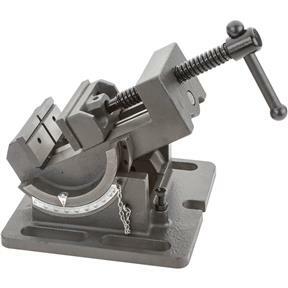 This Tilting Vise offers a full 90° adjustment from horizontal to vertical with an easy to read scale and indexing pin set for every 15°. Dovetailed trunnions with lock handle ensure stability and precision-cut threads, and polished guide rod ensures accuracy. Capacity is 3-3/4"; jaws measure 4-1/8" wide by 1-3/4" deep. Mounting slots are 7/16". Great vise and very accurate on the tilting clamp part. Just what I was looking for. I have been using this product for several weeks and find it to perform extremely well. I would recommend it to anyone. 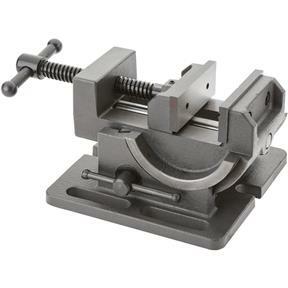 Excellent tilting vise for the price, highly recommend this vise.